Kart racers in the area of the country just south and west of the Great Lakes enjoy many different options for club, regional and national racing, and at the core of these opportunities are the Route 66 Sprint Series and the United States Pro Kart Series (USPKS). 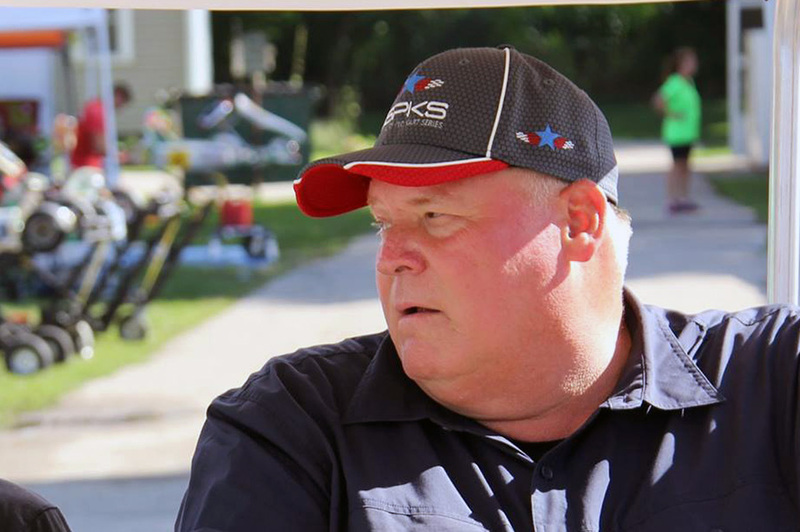 Karting enthusiast and promoter Mark Coats is at the helm of both programs, which offer up unique levels of competition, travel and intensity. The series share the same dedicated staffs, which are fast becoming recognized among the best in the country. 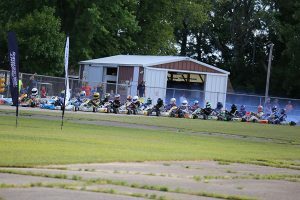 The Route 66 Sprint Series is a five-race regional program for Yamaha, IAME X30, IAME Swift and Comer drivers in Indiana, Illinois, Wisconsin and surrounding states. The program attracts strong numbers and the atmosphere is relaxed but still intensely focused on great racing. It is among the top regional series in the country in terms of participation and competition, and has developed some of the best young racers in the country. 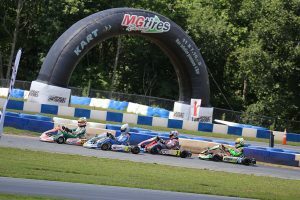 The USPKS has been the top two-cycle sprint series in the East for the last number of years, drawing all the big guns from the EKN TaG Driver Rankings and many of the young rising stars. The series is dedicated to IAME and Yamaha competition, and runs a four-race travel schedule that begins in Mooresville, NC in April, then runs through Pennsylvania and Indiana before heading to Autobahn in Illinois for the final. Coats’ efforts have helped to stabilize the sport on the East Coast and he’s definitely a busy man. EKN caught up with Mark before his season gets underway. eKartingNews.com: Mark, thank you so much for taking the time to talk with us to begin the 2017 season. You’ve developed two very solid programs in the USPKS and the Route 66 Sprint Series. What are the key concepts that you have employed that have helped to produce such well-supported programs? Mark Coats: Thank you for the opportunity to tell our story. When the Route 66 Sprint Series was started, there was the Midwest Sprint Series (MWSS), which was the who’s who of karting, and the Great Lakes Sprint Series (GLSS), both of which were WKA Regional programs. We started the Route 66 Sprint Series because we thought that we could offer a better product to the racers and track owners. The concept was to give something back to the racers and make sure that the track owners and/or clubs can make money, which ensures continued growth of the sport. We also knew that we needed a great team to promote great karting events. I personally feel that we have the best officials in karting, bar-none. Starting with our own online registration program, continuing with the series’ trackside office, the tech and race procedures that we have in place, and finally with our on-track officials, it’s all about making better experience for our customers. The annual Route 66 Champion’s banquet is very popular with the racers, with a great evening of recognition, $50,000+ in prizes, and plenty of socialization. And speaking of champions…the Route 66 Sprint Series has produced some great racers and champions. Congratulations to this year’s SKUSA X30 Junior Champion Alex Bertagnoli and 2015 X30 Junior Champion Brandon Lemke, both of whom honed their craft with our series. EKN: Alex and Brandon are certainly two talented drivers who have come you’re your programs. Let’s focus right now, and we’ll start with the USPKS. You had a great season with the program in 2016, as it’s developed consistently over the past years. You’ve transitioned successfully from the Leopard to the IAME X30 and you continue to have solid Yamaha participation in everything but the Yamaha Pro class, which will see an evolution for 2017. Can you give us your thoughts on the past season, and then the one to come? MC: Last year really was a transitional year. We had announced earlier in 2015 that we were going to become a ROK series. Our racers basically told us that was not the direction they wanted to go, but asked us to continue with the IAME engine package instead. So we listened to our customers, and I called long-time karting friend and IAME USA East importer Eric Jones, and the rest is history. We phased out the Leopard and the Mini-ROK. We added the Micro and Mini Swift, and made the natural transition to the X30. It proved to be a great move, with full fields of solid competitors in every division. As far as changes goes, in 2016, the USPKS also put in a Video Review Rule, which allowed competitors to use on-board camera footage to provide evidence in the event of a protest and I think our racers appreciated our willingness to look at more evidence. We also floated the idea of switching tire brands in 2016, but our customers voiced their opinion and asked the USPKS to stay with the MG Tire brand, so we did. For 2017, the IAME X30 Junior and Pro classes will be on MG Yellows and the rest of the classes will be on the MG Reds. The only major change is the replacing of the Yamaha 100 Pro Senior Class with the new KA100 IAME engine, which has been met with overwhelmingly positive response. As you mentioned in your opening, we have four great race tracks that we are racing at in 2017. The Autobahn will be a great addition, and is the one that will take everyone by surprise, in a good way! This professional race facility was hiding in plain sight, just outside of Chicago. While the online imagery still shows the old 3/10th of a mile kart track, when we roll in, we’ll be utilizing a large skid pad area adjacent to the track as well, for a partial temp track. We expect the final track to be about 3/4 of a mile. We are very excited about adding this facility to our arsenal of great tracks that are anxious to host our events. We are also giving more benefits to our sponsors in the way of more free parking, signage opportunities, etc. We have shortened the amount of time people are away from home to race by condensing our practice days down, so a later arrival to the venue is possible, as well as fine tuning our Sunday program for USPKS, which will allow for as Sunday night departure for most people. USPKS is a top level program, but that doesn’t mean it shouldn’t be enjoyable. We want to listen to the racers, provide a fair and safe program, and do it all while having fun. Given all the things that other series have copied from our program, we must be doing something right! EKN: Moving to the Route 66 Sprint Series, is there anything you’re particularly excited about for 2017? The program has logged impressive participation numbers and support. What’s the outlook for the New Year? MC: The Route 66 Sprint Series is going stronger than ever. The pre-season entries are way ahead of last year, and if that’s any indication, it will be another growth year for the Series. The most exciting thing to me, is the new IAME Bambino Kid Kart class. The Bambino engine will be available for sale around the second week of February. It’s an awesome little engine package. 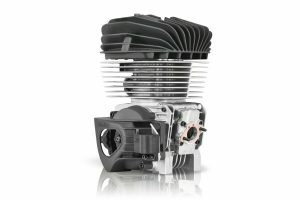 With the cost of the securing and maintaining a top level Comer engine continuing to skyrocket, the Bambino engine will be a great value at an estimated cost of only $1495, race-ready. I was lucky enough to see this engine in testing and it runs really good out of the box! For the 2017 season only, we will have 2 separate Kid Kart classes that will run for two individual championships. This will be the last year for the Comer C-51 Kid Kart engine. In 2018, we will have just the IAME Bambino class only. The Route 66 Sprint Series has some of the biggest Yamaha fields in the country and with the new and improved Yamaha rules package that was released for our rules, we expect the competition to become even stronger. Our racers will know that they are competing on a level playing field. Our staff will be returning with very few changes for the 2017 season. We have a great Team and all of us raced karts at one time or another, which gives us a lot of insight into how the racers see the events, and the things we can do to make them even better. For the most part, everyone is returning, with a few people taking on expanded roles. Another year of experience and fine tuning will make things even smoother for the competitors. One of the things I talk to my staff about is who the customer is, at our events. While we are putting on a race, and we can’t make everyone happy all the time, just by the nature of what we do, we still want to treat the competitors as our guests and customers. I think my staff does a great job of this and it’s a pleasure to work with a team of professionals. EKN: Mark, you’ve certainly not shied away from evolution and I believe that it’s served you well. Listening to your customer base and their requests is important, and staying on the forefront of technology is as well. A hot topic these days has been the lack of on-track respect and racecraft, and we’re seeing some truly rough racing out there, especially on the regional and national level. What are your thoughts on this? Why is it happening? How do we address it? You’re introducing the push-back bumper system. Is this a stop-gap or a real fix? MC: To me, this is the biggest problem in karting today. I think a lot of this started when the old pea pick system was replaced by qualifying. I’m not mentioning names, but I see big name front runners, who if they have a bad qualifying session and start in the back, they don’t move too far forward. They were never forced to perfect their racecraft or driving skills by starting in the back. To many of today’s drivers, passing cleanly seems to be a lost art. The other problem is that parents today hire tuners and driver coaches and expect WINS at any cost. You and I, and anyone else who has been in the sport for more than a few years, is keenly aware that only 1 in 10,000 drivers might go to the big leagues of racing, and then only if they have deep pockets or substantial financial backing. Why not enjoy karting as a family sport and not try to use it as a stepping stone to the next level? Karting should be about racing and having fun. Ending someone else’s race by knocking them out of your way isn’t racing, or fun. We want fair, close racing, and at the end of the day, smiles all the way around. Last year, we implemented the video review rule. This rule proved itself to be helpful to the track staff and for the competitor. This year, we’re taking another step toward putting racecraft back into karting with the push-back bumper. We looked at the push-back bumper last year and decided to let Europe perfect it before we put the rule in. I personally think that the push-back bumper is a real fix, and many competitors who have experienced it firsthand in Europe have backed that up. We will have people in the scale line watching, taking pictures and handing out tickets with penalties. EKN: We posed a question in our forums, asking our readers to give us their thoughts on three things that they’d change about the sport, if they could. Let me ask you the same question as part of this interview. What would your ideas entail? MC: There is not enough time in the day for this question! My number one change would be to promote karting as a sport, and not as just a stepping stone to the next level. Before I answer this, I would like to remind everyone that I am not an importer, manufacturer, nor do I sell karting items. I am a karting promoter. It is not a source of income for me. I do this because I enjoy the sport and most of the people in the sport. I can’t stand people who lie and spread false rumors for their personal gain and we all know people in our sport that do this. With that said, and to answer this question properly, I went back and read the forum. I have to say that Dan Schlosser hit the nail on the head. I agree with about 80% of what Dan was talking about. Yes, there are too many races east of the Mississippi and centered around the Midwest part of the United States. The USPKS has been approached by many teams west of the Mississippi to have more races and make the USPKS a more ‘National’ series, but as a series, we decided to stay more central for our customers. With the high cost of travel and the increased cost of racing, we believe that we have made the right choice. Rather than focus on expansion, we are concentrating on improving every facet of our Route 66 Sprint Series and the USPKS. I wish all racing organizations would get together to set a solid schedule. This would help the kart shops and racers, and would improve overall event attendance. I have tried working with other national series and it has always bit me in the end. I have been criticized for changing dates to work with other organizations, yet others have felt no guilt about scheduling on top of my events. In the future, if other series would like to work with us, I will listen. Since Dan’s post, we have had USAC enter the karting market and set dates on top of other series. We also had Rok Cup do a release one week later saying that they had complaints from their supporting teams, so they were moving their date. Rok Cup Florida’s new schedule set their final event against the USPKS opening event. Perhaps that is their way of getting back at me for going with the IAME engine. Things like this needlessly hurt the sport. So my number one thing would be to get everyone to agree on dates and stick to them. Stable rules and class structure would be my number two thing to change. For the sport to grow, we need less series/classes. The trend of engine manufacturers setting up their own series to promote their products is growing. Perhaps it’s just the economics of how things work today, but the independent promoters like USPKS, that don’t have a financial piece of the engine program, are becoming the minority. Single engine classes with spec tires have proven to be the winning formula. As far as the national USPKS program, we have decided to align ourselves with IAME USA East for the future growth of our series. 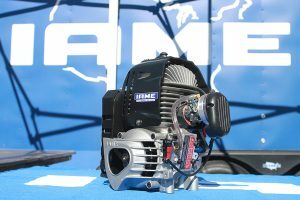 IAME has a long history of building high quality engines for karting, and right now, they seem to have the best combination of engine packages, distribution channels, and support for the racers, and the series. 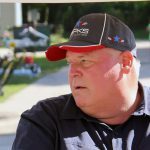 USPKS Tech Director Rick Jump is working with IAME USA East to have stable engine rules in place for the entire US karting market. IAME has been very helpful with securing advanced tech equipment, specifications, and tools, to insure that we can tech their products completely. This will benefit the racer, the engine builders, the kart shops and the race series. In the next several years, I can see the USPKS being an all-IAME Series. I am really excited about the new IAME KA100 engine package. This engine has so much potential. The plans for the USPKS are to have the engine launch in the Senior division this year and in the Junior division in 2018. I personally can see the KA100 as a great Master class engine, possibly replacing the TaG classes at regional levels, given its reliability and simplicity. As far as when/if we see the KA100 for the Route 66 Sprint Series, we will have to wait and see. The Yamaha has been good for karting for many years, and I expect it to continue to be popular regionally. My third change would be to increase outside sponsor support, which would translate into lower entry fees and costs to racers. With outside help, we can stop going to the same well of karting businesses for all our support. Look at the millions of dollars in the pits when you go to a Route 66 Sprint Series or a USPKS event. I’m talking motorhomes, toterhomes, toy haulers, trucks, trailers, semi’s and more. Chevrolet, GMC, Ford, Dodge, the trailer and trailer accessory companies, Walmart, Lowes, Home Depot, the hotel chains, national and local restaurants and grocery stores are all businesses that benefit from the dollars that karters spend. Miller, Budweiser, Coke and Pepsi, Monster and Red Bull all benefit from our sport, and all sponsor many sporting events, but little to nothing in karting. Even the airlines benefit from karting. The local Chamber of Commerce should love karting and the dollars that we spend in their communities. Somehow, we need to engage local tourism boards and Chambers of Commerce, and get them to realize the value that we bring to the community. We also need to tap into the connections that our members have, and use them to secure larger business involvement. EKN: Mark, those are three very good answers to the question, and I think the ideas are shared by many. Let’s hope that talking about the issues and truly targeting the problems will lead to positive program in the years to come. Thanks for taking the time to chat with us. All the best to you and your team in 2017! MC: And best wishes to you and your team in 2017 as well. And before I leave, I want to thank you for all the hard work that you and your team at EKN does to promote the sport of karting. The industry needs a media outlet like EKN and you guys definitely do a top notch job of not only promoting the sport, but also keeping the world informed about the goings-on within karting. I look forward to seeing you at the track again in 2017!